You watched those Mac and PC commercials with one guy representing a Windows PC and another guy representing the Apple Macintosh. Now, what happens if you throw a Scientologist (Tom Cruise?) in the mix?! Now, this is one stunning looking College. 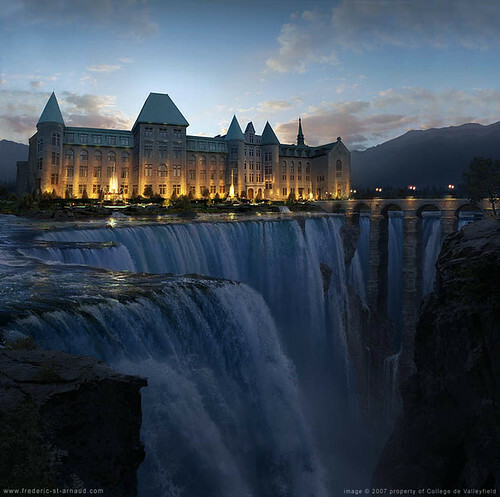 College de Valleyfield is in Valleyfield, Quebec, Canada. The Simpsons is an American animated sitcom created by Matt Groening for the Fox Broadcasting Company. It is a satirical parody of the “Middle American” lifestyle epitomized by its titular family, which consists of Homer, Marge, Bart, Lisa, and Maggie. The show is set in the fictional town of Springfield, and it lampoons many aspects of the human condition, as well as American culture, society as a whole, and television itself. 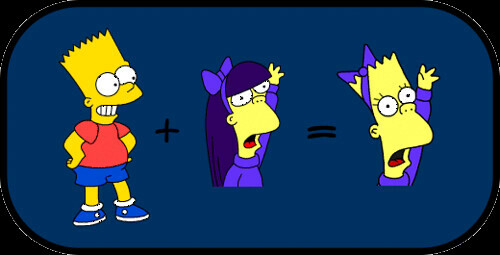 Now, what would happen if the characters in Simpsons mated ….